Thunderstorms - some locally heavy downpours are possible, especially during the afternoon hours. A few storms may be severe. High near 80F. Winds WSW at 10 to 15 mph. Chance of rain 100%. 1 to 2 inches of rain expected..
A stray thunderstorm is possible throughout the evening. Mostly clear. Low 61F. Winds NW at 5 to 10 mph. 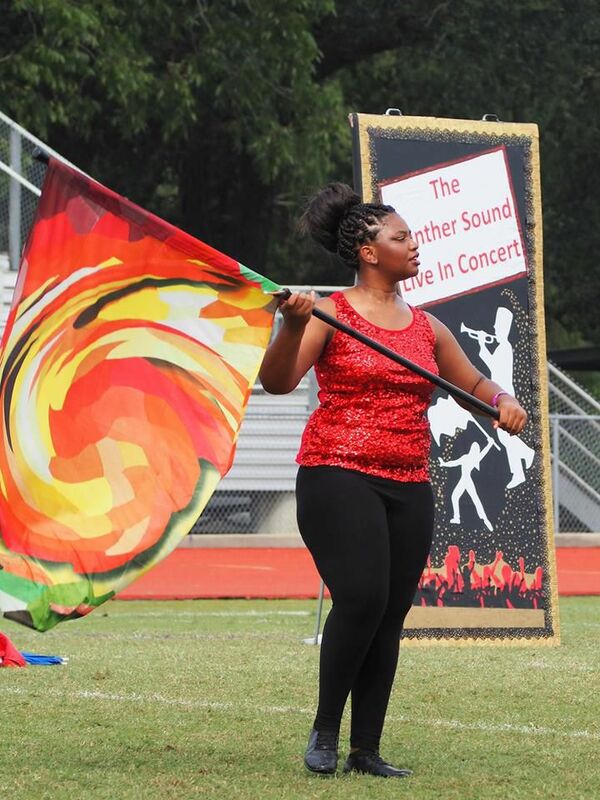 Junior guard Reneshia Carter twirls to the music during the 2018 Dutchtown Invitational Marching Fest on Saturday, Oct. 20. On Saturday, Oct. 20, Brusly High School’s marching band brought home some prizes just in time for the homecoming dance. The Panther Sound’s musicians and guards played and twirled their way to the highest and second-highest scores possible at the 2018 Dutchtown Invitational Marching Fest in Ascension Parish: superior for the band, excellent for percussion, and excellent for the auxiliary. They also won second place overall in class 1A. Brusly High Principal Walt Lemoine was at Dutchtown High to cheer on the Panther Sound. “I know it was a hectic week with homecoming and preparing for the Dutchtown Festival,” Lemoine said. The principal was impressed by how Brusly High’s band could go from performing a postgame show late on Friday night and then compete at a major festival the next morning. “It says a lot about the dedication of the entire Panther Sound family,” Lemoine said. In addition to competing against two other bands in their class, one from Parkview Baptist School and one from St. Michael the Archangel High School, the Panther Sound spent the day watching and listening to eleven other marching bands. The line-up included powerhouses like Walker High School’s Band of Legacy, a class 4A ensemble that earned the Grand Champion honor at Saturday’s event. Another was the host, Dutchtown High School’s own Dutchtown Sound, which gave an impressive exhibition performance. Guest visitor, Northwestern State University’s Spirit of Northwestern Marching Band, treated festival-goers to a rousing show before the awards ceremony. The Panther Sound competes again on November 3, in Northwestern State’s Classic on the Cane Marching Festival.